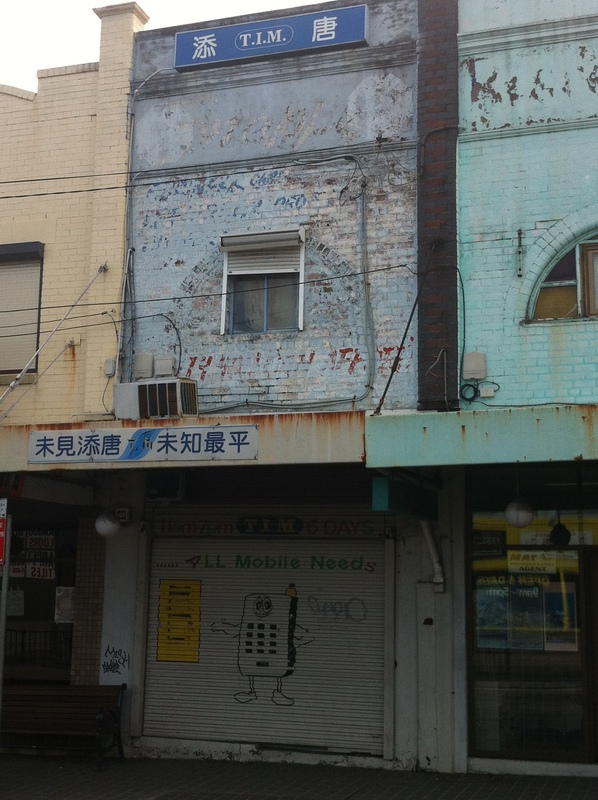 As you can see, this shopfront is a mishmash of previous owners. It’s like every one of them was part dog, such was their rabid desire to leave their mark on the place. First off there’s the faint Snapple logo, suggesting it was once a mixed business. Then bookending that there’s what looks like twin stop signs, the most likely explanation for which is it once sold bargains (perhaps even in its current incarnation), and the signs begged passers-by to ‘STOP!’ and possibly ‘L@@K!’ at them. Looking further down we can see what might have once said ‘cards’, indicating the possible existence of a newsagent. The red letters at the bottom are a bit of a mystery, though – as is the seemingly discarded air conditioner which appears to have fallen off the wall. 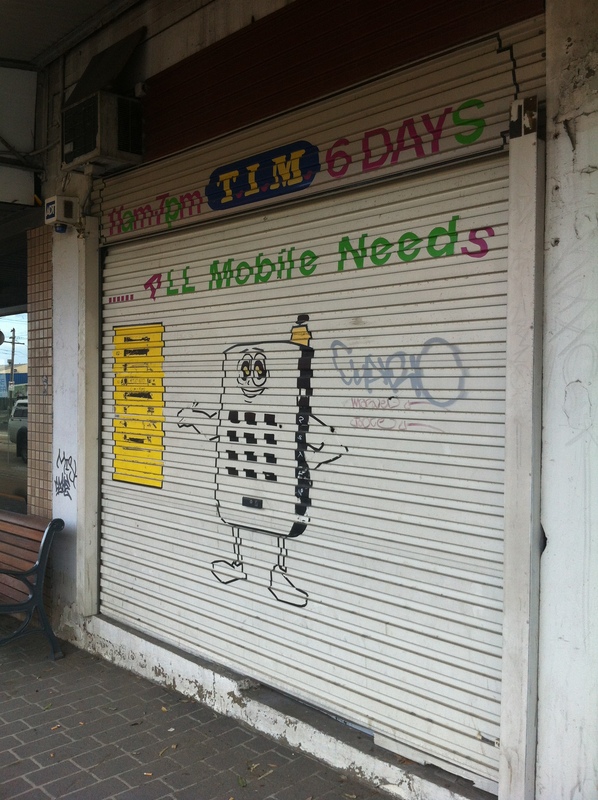 Whatever the case may be, what’s impossible to ignore is that today the shop is T.I.M. All Mobile Needs. T.I.M.bo claims to be open six days a week from 11am to 6pm, so I’m guessing I went on the one day it’s closed. Google Street view shows the same closed rollerdoor, so the only explanation is that Google Street View’s car drove past on the same one day three years ago. I think it’s a bit rich to advertise that you provide ALL MOBILE NEEDS while at the same time presenting a mascot who clearly hasn’t a need in the world. Even the rollerdoor handle is strategically placed to satisfy certain needs. Thoughtful.